Hey readers! Happy sunny Tuesday!! I’m having so much fun with these trend posts, that I’ve decided to talk about one trend a day instead of talking about them all at once and overwhelming you. The next trend I’d like to bring to your attention is strictly for the ladies, fellas, don’t worry we’ll include you in tomorrow’s trend. 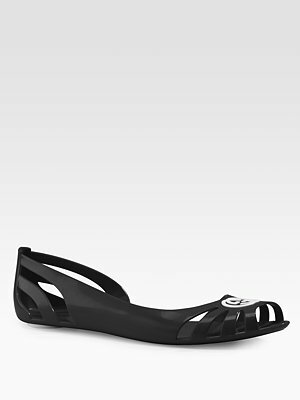 Trend #3 is Lucite! My little vintage loving self has always enjoyed a nice piece of Lucite jewelry, or a nice chunky Lucite heel on a vintage shoe. Well it no longer requires an exhausting vintage search to find some pieces of Lucite! Love! 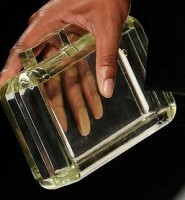 Prada’s adorable Lucite clutch. 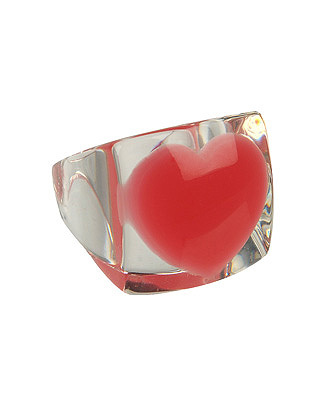 Lucite ring from Forever 21, pretty cute! I was inspired by this video and a few friends on Facebook asking me about spring trends. So I decided to type them up for you, just for the fun of it. I’ll be breaking it into 2 parts since there are so many trends I want to cover! 1. Denim! We’re not talking just jeans any more ladies and men! Denim is back in a big way! This is such an easy trend to take part in, since you probably have so many pieces in your wardrobe to just work back in. I love this pencil skirt from the Gap. Such a chic update to the sometimes trashy denim skirt. 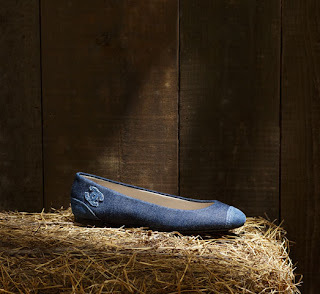 leave it to Chanel to perfect the denim trend with a classic staple to any wardrobe. 2. Nautical, its easy to find this trend in traditional colors like navy, white and red, but I’m also loving some of the pieces I’ve seen in neon hues! 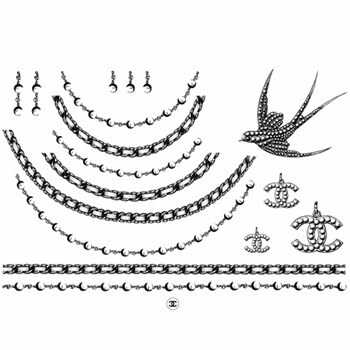 Enjoy these pages of nautical fashion from ModCloth. *Editors Note* I can no longer add images to this post, I think its getting too big I’ll pick up here on part II. My ex blog manager (we parted on good terms) and I went to the Farm to Table food tasting on Friday. It was a unique experience and I’m glad we went! I had been dying to check out our new convention center, it is beautiful! As well as the views!! I heard one of the vendors telling someone there were 3 times as many people this year as LY! Keep up the good work Pittsburgh! I thought now would be a good time to tell you that I happily accept late birthday presents or early Easter gifts….just a few ideas for you…. Limited edition Chanel temporary skin art…I’m in love, if you can’t afford to clothe yourself in Chanel, why not cover your body in it….. I can’t wait till I am in the position to get a dog! I constantly think about what kind I will get?! 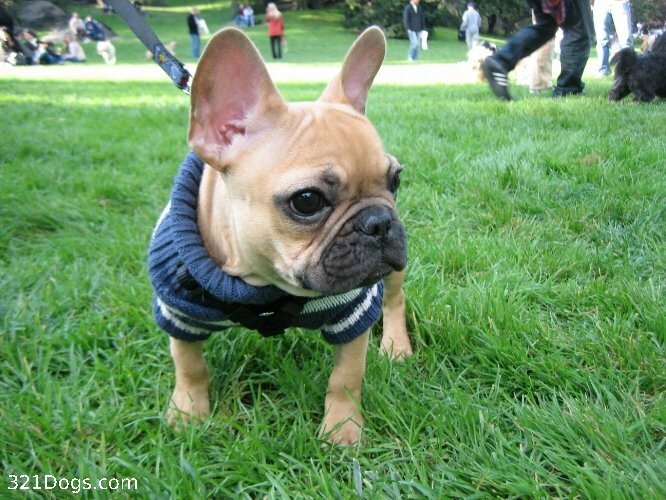 A rescue puppy from http://www.adoptapet.com/ or my favorite french bulldog?? I’ve really lucked out that a lot of my friends have recently adopted pets in recent months, it helps me pass the time until I can have a little meatball of my own. 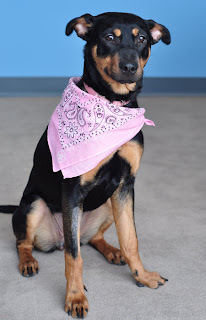 Please say hello to Missy, my blog managers new rescued dog. She is such a sweetheart. Missy is a very welcomed addition to our “family”. I decided to spend this past Saturday afternoon with my young cousins, I realllly wanted to take them to the zoo, but, with one cousin on crutches I knew that was impossible. 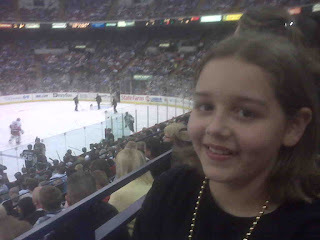 So when my aunt told me about Penguins tickets she had, I jumped on the chance to take them to their first game, and sadly probably last at Mellon Arena. I knew with one cousin on crutches getting to our seats (C30) would be rather difficult but we could make it work. When my Uncle suggested asking for more accommodating seats for her I was a little hesitant, as I knew it was a sold out game. Long story short! Ask nicely and you shall receive, with the Pittsburgh Penguins! We stood in the entrance way to our seats waiting to hear final word on where they could seat us. One kind gentlemen after another came to update us. Finally the final word came! 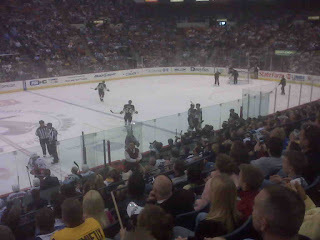 They would move my cousin and I to center ice (folding chair) seats in the Igloo Club level. We were personally escorted by a very nice man to ensure we made it there safe and sound. All along the way being stopped by kind Pittsburghers who wanted to chat with my little cousin and tell her it would be OK, that crutches weren’t the end of the world. Finally we made it to the Igloo Club and our seats! 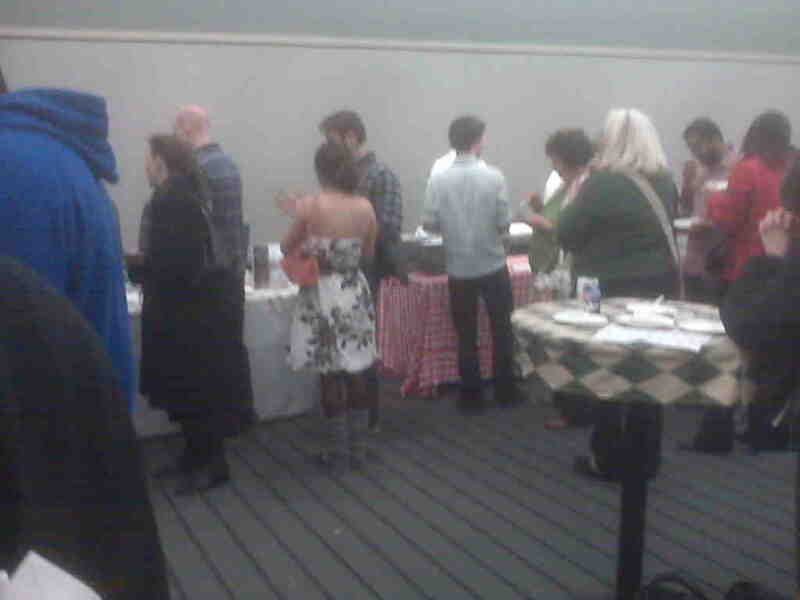 We had a wonderful time, none of which would have been possible without the kind workers of Mellon Arena. Thanks again! The Saks Fifth Avenue in downtown Pittsburgh (513 Smithfield Street) is having an event where you can donate a gently worn prom/special occasion gowns and you will receive 20% off the purchase of a new gown! Now is the time to start looking for those dresses for your summer weddings, why not save money while donating to a good cause while doing it! If you would like some shopping assistance, e-mail me! P.S. I went on my first personal shopping/stylist trip with a male client yesterday. I will post pictures of the final look after Easter, if you’re interested in having me assist you, e-mail me. I’ve personally always thought Uggs but the ug in ugly, I’ve heard they’re warm and comfortable, but that is no excuse for wearing them in the atrocious way that some people do. Denim mini skirts, tucked into sweatpants when there is no snow…I could go on forever. I’ve been waiting for this trend to die for what feels like 20 years. Hopefully the report in yesterday’s NY Daily News will help. 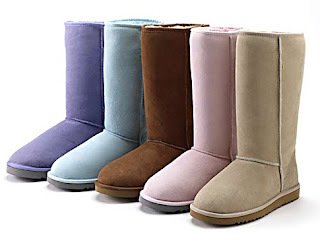 According to health experts in the UK, Ugg boots are extremely harmful to the feet. Now will you quit wearing them America?? Please!!! I don’t know if you can tell, but I get excited very easily, so when I received an e-mail this morning telling me that Pittsburgh Restaurant Week is following me on my personal Twitter account, I about died. Did you know Pittsburgh had a restaurant week? I consider myself pretty new to town, so I suppose that is why I did not know! I’m so excited to take part in this! Please contact your favorite local restaurants and urge them to join!!! P.S. To my non-Pittsburgh readers, I’m sorry about the Pittsburgh posts this week, my blog manager has already yelled at me about it…I’ll branch out next week. I promise!